Dragon prince Liev Drakos has no idea what’s going on. But he’s sure of one thing: He’ll protect this mysterious woman from the beastly assassins pursuing her, or die trying. Because even if he doesn’t know her, there’s something about her that calls to the deepest part of him... something that he knows he can’t live without. Robbed of her powers. A murderous manticore on her tail. The only person she can trust: An amnesiac dragon prince who sets her soul on fire. Dragon shifter Darklis Novak is happy leading a quiet life, loving nothing more than curling up with a good book. But now she’s on the run from a deadly threat, and in way over her head. She has only her wits, the clothes on her back... and a devastatingly handsome dragon prince, who doesn’t remember her name – much less that he’s her fated mate. 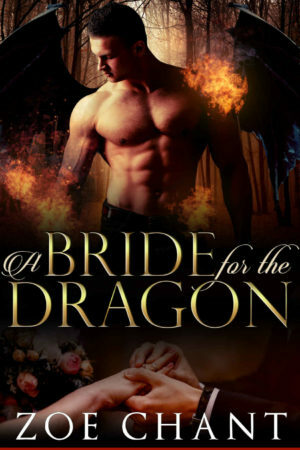 Combining magical romance and heart-pounding action, A Bride for the Dragon, the fourth in the Lost Dragons series, will delight fans of TS Joyce, Terry Bolryder, and Harmony Raines. No cliffhangers, and a guaranteed HEA.